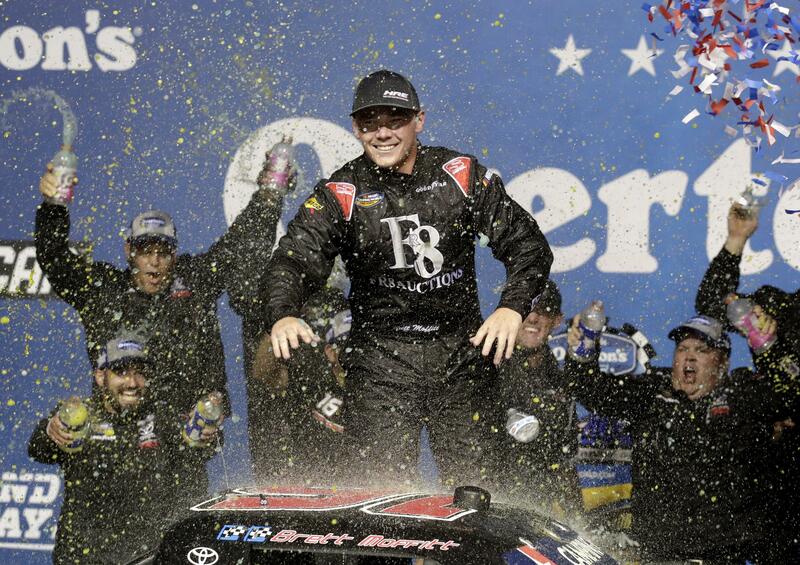 JOLIET, Ill. – Brett Moffitt won the NASCAR Camping World Truck Series race at Chicagoland Speedway on Friday night after leader John Hunter Nemechek ran out of gas on the final lap. Published: June 29, 2018, 8:44 p.m. Updated: June 29, 2018, 10:54 p.m.